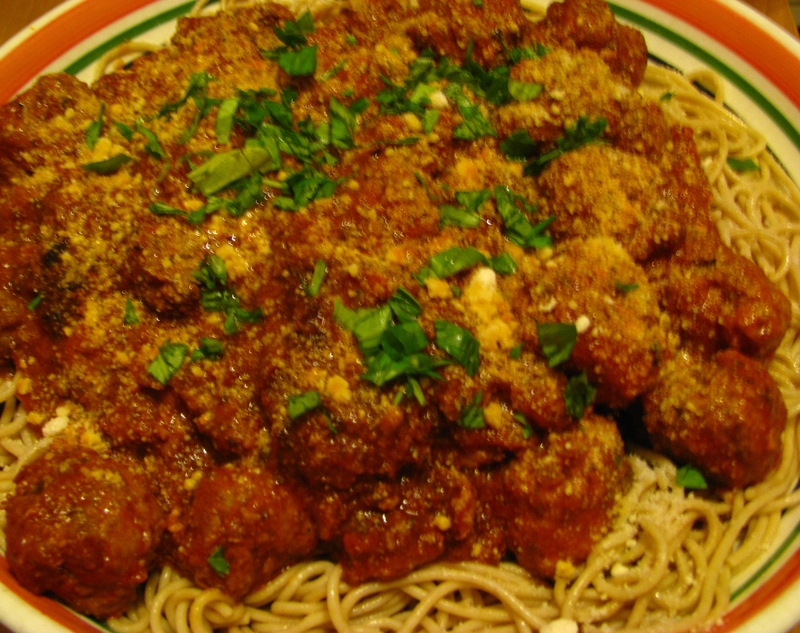 I have posted my meatballs up before, but as a sub not as a pasta dish. Meatballs have to be one of my favorite easy things to make. They are so moist and bursting with flavor. This time around I stuffed some of them with fresh mozzarella. I use a lot of different ingredients in them like Parm cheese, eggs, basil, grated onion, garlic, bread crumbs, salt and pepper, crushed red pepper, and last night I added a cup of wine (which gave the meat a moist taste). 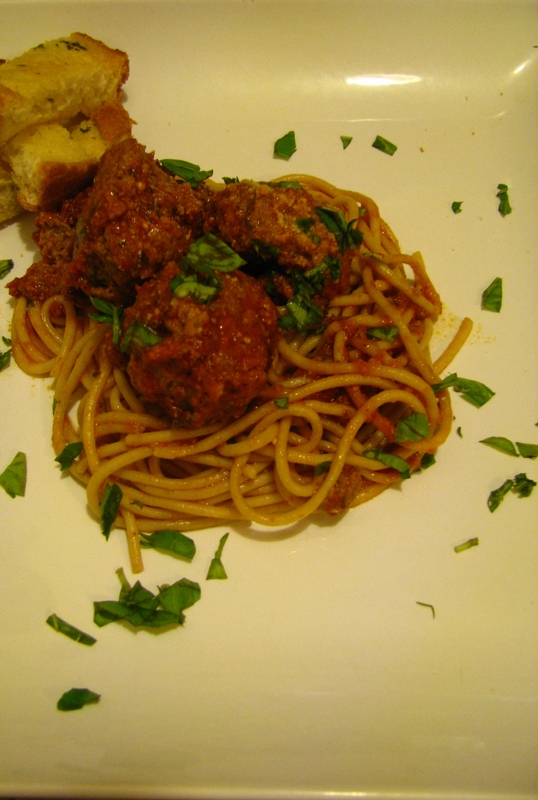 Meatballs are great to experiment with. I mean you can pretty much add anything to them creatively. The next day they are even better, as the ingredients have settled in. I hope you enjoy and come up with some different recipes. If you would like to share it please feel free. Humm, a cup of wine? I’ll need to give that a try. Thanks for sharing! With a cup of wine I will have to try this one.